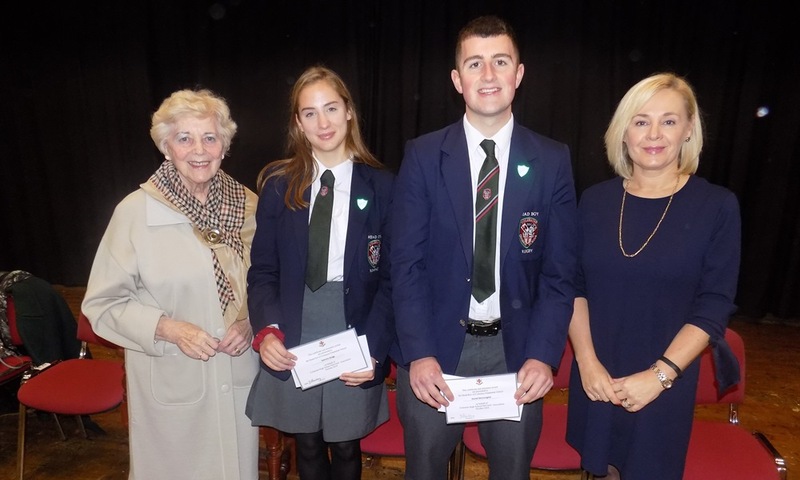 Amanda Wilson and Rae Morrison attended Coleraine Grammar School assembly at the Lodge Road Campus on 23rd October 2018, on behalf of The Old Girls Association (CHS OGA). Mrs Wilson gave an excellent address on the work of the Old Girls Association and its connection to the Grammar School, before inviting Mrs Morrison to present a certificate and bursary to the Head Girl and Head Boy of the school. Rae Morrison began her school career on the Lodge Road in 1947 and it is a great tribute to her that she still maintains her connection with her school after all these years. This was a wonderful opportunity for our representatives from the CHS OGA to meet the Head Girl and Head Boy and commend these young people for all that they do on behalf of Coleraine Grammar School. We trust that the current Head Girl and Head Boy will enjoy their year in office and will find the bursary useful to help fulfil their future career paths.